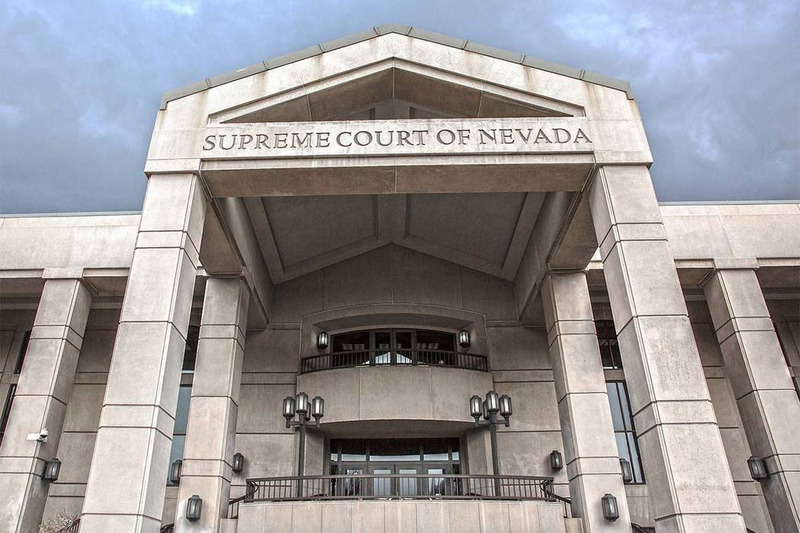 In a narrow 4-3 decision Thursday the Nevada Supreme Court strengthened the public’s access to records held by government agencies, ruling that the Public Employees’ Retirement System must provide the names and pension amounts of retired public workers. In 2013 the court ruled that PERS had to provide those records to the Reno Gazette-Journal and it did so, but the following year PERS altered its record keeping process so that names were deleted from the pension data and each record was linked only to confidential Social Security numbers. When the Nevada Policy Research Institute sought the same records in 2014 as was given to the newspaper in 2013, it was denied. PERS cited the court ruling that said it did not have to “create” a record on request. The majority opinion was penned by Chief Justice Michael Douglas and joined by Justices Michael Cherry, Mark Gibbons and Kristina Pickering. The dissent was penned by Justice Lidia Stiglich and joined by Justices Ron Parraguirre and James Hardesty. Stiglich, who was appointed in 2016, is up for re-election on the November ballot and faces conservative District Court Judge Mathew Harter. The majority notes that PERS’ contention would contravene the very purpose of the public records law, which is to allow the public to keep an eye on how its government officials behave and spend their money. The opinion cited a court ruling that found “sorting a pre-existing database of information to make information intelligible does not involve the creation of a new record because … computer records found in a database rather than a file cabinet may require the application of codes or some form of programming to retrieve the information. Another footnote said the majority was not overruling its previous decision about an agency not having to create a record, but clarifying the earlier holding to reflect the realities of the advancements in technology and to further the purpose underlying the public records law. The court remanded the case to the lower court to determine precisely how the NPRI records request would be handled and what, if any, expenses the agency could charge for the production of the records.